Martin-Carnegia, Aundra Marie, 52, Reddick, Florida. Passed away March 12, 2019. Life Celebration for Ms. Martin-Carnegia will be held on March 23, 2019, 11:00am, Church of God, 15670 N.W. Gainesville Road, Reddick, Florida. Reverend Myra Sherman, Pastor. Reverend Dr. John Banks will be conducting the words of comfort. Family and friends are asked to meet at the Martin-Carnegia residence, 15770 N. US Hwy 441, Reddick, Florida at 10:15am on Saturday to form the funeral cortege. No viewing following the eulogy. To send flowers or a remembrance gift to the family of Aundra Marie Martin-Carnegia, please visit our Tribute Store. 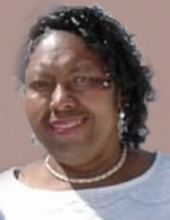 "Email Address" would like to share the life celebration of Aundra Marie Martin-Carnegia. Click on the "link" to go to share a favorite memory or leave a condolence message for the family.